By the time spring break rolls around, students are typically antsy to leave campus for a different destination, whether that means relaxing at home or adventuring in a far-away country. Although an exotic location was certainly in the books for some students in Duke’s Bass Connections—Pocket Colposcope: Increased distribution and adoption program, their activities weren’t part of the usual spring break fare. Instead, the team traveled to Lima, Peru to continue their ongoing study of how an innovative cancer screening tool could best be deployed within the country’s healthcare system. The Pocket Colposcope was developed by Duke’s Center for Global Women’s Health Technologies as a tool to help doctors screen for cervical cancer in low- and middle-income countries, where, according to the World Health Organization, more than 85 percent of the annual deaths from cervical cancer occur. To address the barriers associated with screening, the Pocket colposcope was designed to be significantly less expensive and more portable than a standard colposcope, and the device has the potential to increase cervical cancer awareness and screening, saving lives in the process. But first, it must be successfully adopted in the local environment. To pave the way toward this goal, the students conducted in-depth interviews with clinicians, public health officials, industry partners and researchers about their work and their thoughts on the Pocket Colposcope—fitting weeks of work into five business days. The spring break trip to Peru is part of a yearlong Bass Connections team led by Nimmi Ramanujam of BME and Rae Jean Proeschold-Bell of the Duke Global Health Institute, and taught by Krieger and Danny Hamrick, a research analyst with the Duke University Center on Globalization, Governance and Competitiveness. With a diverse team of undergraduate and graduate students from biomedical engineering, global health, psychology, business and beyond, the program uses as its framework a development approach known as global value chain analysis—a holistic, systematic approach to mapping out the planned use of a new tool to identify potential bottlenecks and challenges to deployment. 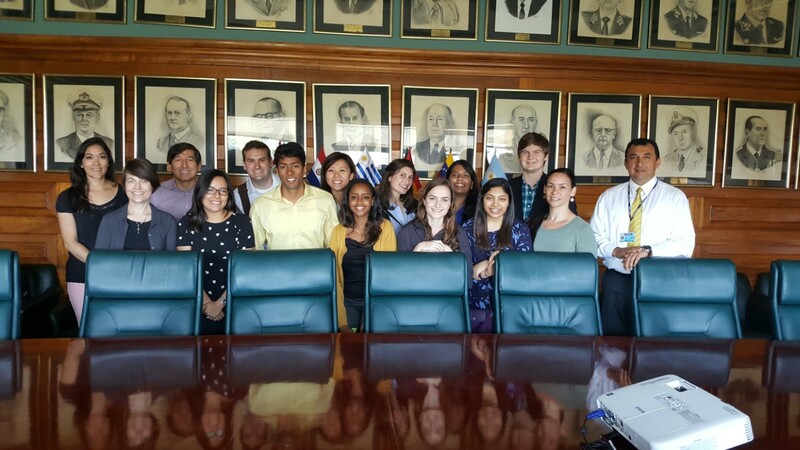 On the first working day of the trip, the students visited the Ministerio de Salud del Peru (Peruvian Ministry of Health), where they discussed how the public health system had focused its efforts on combatting cancer to date. From there, the students split up into two teams to cover more ground. Some, like Avni Mehta, a sophomore in BME, toured area hospitals and clinics to determine how the Pocket Colposcope could serve both affluent and resource-limited hospitals. This leg of the tour also involved a stop at mobile health clinics, which currently offer Pap smears to women outside of Lima and could potentially expand to colposcopies with the new portable tool. 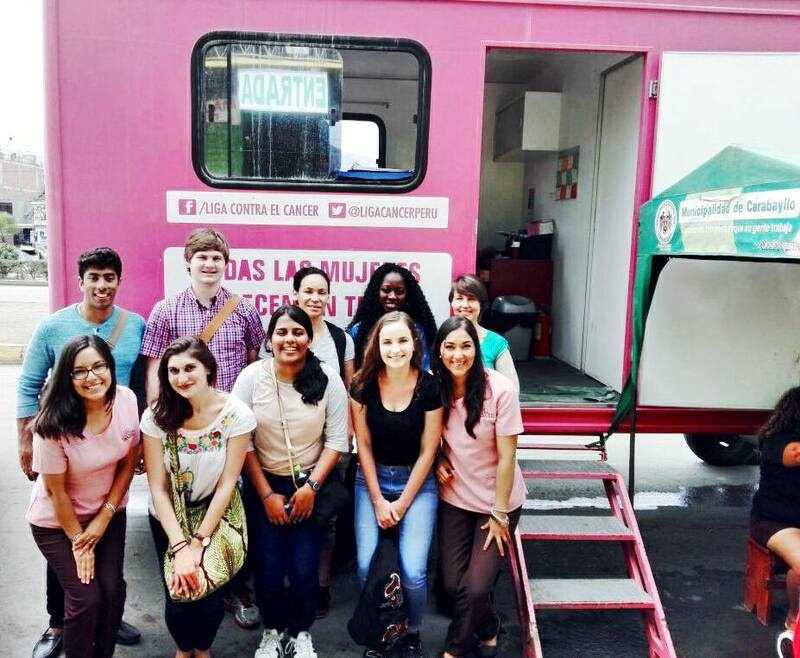 Although the students were interested in studying the immediate impact the tool could have in hospitals and clinics in the area, they also visited the League Against Cancer (La Liga Contra el Cancer) and the biomedical engineering department at the Pontifical Catholic University of Peru. 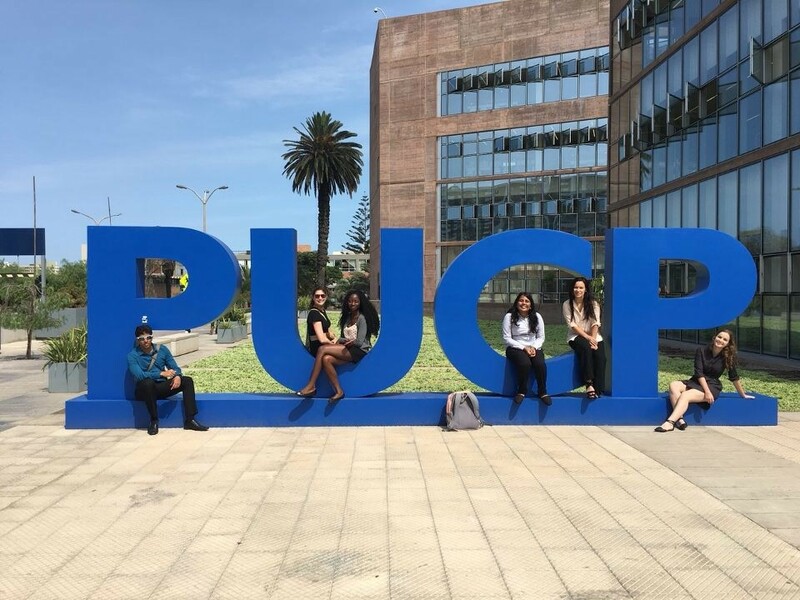 At each institution, students were given a broader overview about how Peru’s public health system was promoting cancer screening, and they saw how the university’s BME department conducted its own cancer research. A highlight for several students was meeting with caregivers who were developing new ways to bring medical services to people around the city using a smartphone app. This tool for ‘mobile medicine’ gave the students a new avenue to pursue with the Pocket Colposcope, says Manish Nair, a BME senior in the Bass Connections project. The trip’s primary purpose was to allow students to gather research for the team’s global value chain analysis, but they also used the opportunity to familiarize themselves with a world that was different from their lives at Duke. During their stay in Lima, students visited the ruins of Machu Picchu, sampled the local cuisine, and learned how to navigate the sprawling city. To reflect on these experiences—and their research—the students updated blogs detailing their time abroad. Now back at Duke, the Bass Connections team is analyzing their findings to determine what challenges they still face, what the bottlenecks are in the health care market in Lima, and steps they need to take going forward. They will present these findings during a Bass Connections showcase on April 20. And, the work will continue with the 2017-2018 Bass Connections team, where students will work to train health care providers how to use the Pocket Colposcope. But for now, the team is pleased with a successful trip. Join Bass Connections for its annual showcase and reception on Thursday, April 20 from 4-6 pm in Scharf Hall. Students from five project teams will give presentations summarizing their work, and leaders will have an opportunity to recognize their outstanding achievements. No RSVP is required. For questions, please contact Sarah Dwyer at sarah.dwyer@duke.edu.